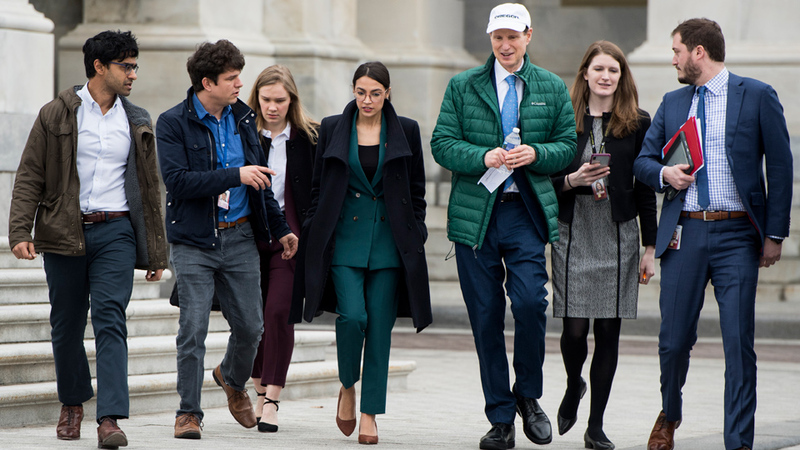 Rep. Alexandria Ocasio-Cortez on Wednesday accepted an invitation to tour a coal mine and meet with voters in Kentucky—taking advantage of an opportunity to engage with some of the Americans who could benefit most from a Green New Deal. The invitation came from Rep. Andy Barr (R-Ky.), a member of the Congressional Coal Caucus who asked the New York Democrat to visit his district after she gave an impassioned speech in the House, blasting Republicans and centrists for dismissing the Green New Deal legislation that she is sponsoring as a proposal that would benefit only large coastal cities. Barr, who wants the U.S. to continue to mine for coal even though it has become more expensive than solar and wind power, asked Ocasio-Cortez to “go underground” with him and talk to people in mining communities. “Folks may not think of that because I’m from the Bronx, but my family in Puerto Rico was a rural family too. I understand some of the challenges,” said the congresswoman. Ocasio-Cortez indicated she would use the opportunity to speak with Kentucky residents about how their lives and futures could be positively affected by the Green New Deal. The plan would include a federal jobs guarantee as Americans, including former fossil fuel sector workers, build a new sustainable energy infrastructure aimed at shifting to 100 percent renewable energy within ten years. The new green energy economy would end a long era in which coal, oil, and gas companies have polluted drinking water and air, sent carbon emissions into the atmosphere and contributed to the climate crisis, and threatened public health all over the world, including in Appalachia, where many coal companies are based and where coal extraction has been linked to high rates of cancer and black lung disease. Twitter welcome to Ocasio-Cortez ahead of the planned visit. Some Kentucky residents extended a welcome to Ocasio-Cortez on social media ahead of the planned visit. Ocasio-Cortez has fought criticism from centrists in her own party and Republicans since her surprise victory in the Democratic primary for New York’s 14th congressional district last June, with critics claiming her outspoken embrace of a democratic socialist agenda, including the Green New Deal, appeals only to so-called “elites” in major cities. In response, Ocasio-Cortez traveled to Kansas and Michigan to campaign for other progressive candidates. 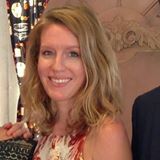 Julia Conley is a Maine-based staff writer for Common Dreams.